When you walk into a brick and mortar shop, you have more than a couple of attendants and sales executives to help you make an informed purchase decision. And just in case something isn’t right, you can simply walk into the store and sort things out by discussing the concern with the person in charge. Ecommerce marketplaces do not give you this freedom. And that’s why efficient customer support becomes even more important for an ecommerce business owner. It all has to happen on the web or via any other form of virtual communication. And thus, both on-page and offpage customer support services are essential. You just can’t rely on one and ignore the other. About 83% of online shoppers need assistance in completing a purchase. Of all the shoppers who stopped buying things online, 89% said it was due to poor customer support. Attracting a new customer costs 7 times more than the cost of retaining an existing customer. It takes 12 positive reviews to compensate the damage done by one negative review. Bad experiences are shared twice as much the good ones. So now the question comes, at what point customer support comes into the picture? The correct answer is “Right in the Beginning”. The moment a person reaches your ecommerce website, customer support ought to come into action. The features offered on your ecommerce website leave a huge impact on customer experience. And then there are instances when a customer wants to know how to purchase an item, or may need some assistance with finding the right item. This is also the point where customer support needs to come into play. See it’s all about letting and helping your customer achieve what he or she wants to do. They want to buy something? Great! Help them. They want to cancel their order? Ask them why, but don’t stop them, help them. They are not satisfied with your services and want to say something? Sure. Help them. In any case, help them do what they want to do (up to an extent, of course!) the better you guide your customers, the better it will be for your company. Off page customer support involves helping customers through phone calls and emails. Both phone support and email support have their own set of advantages. The first thing a customer wants to do whenever he or she faces difficulty while shopping is to talk to a customer support agent. Phone support lets the customer reach the right person and have an actual human interaction. Email support comes in really handy when a customer wants to show a particular thing that they need assistance with. If a customer is facing an issue with buying something even after doing everything right, emails allow him or her to add a screenshot. Emails also have an added advantage that they are documented. Everything written in an email is a proof of communication. Plus, it’s economical. On page customer support doesn’t require a customer to move away from the website to get assistance. The most common examples of an on page customer service are frequently asked questions (FAQs) and live chat support. Frequently asked questions answer the most common queries asked by customers. FAQ’s not only help in resolving queries but also help you in improving your pagerank as this is an ideal place to use the long tail keywords. Who says helping customers and improving SEO tactics can’t go hand in hand? Chat support is among the most popular customer support mediums, and rightly so. Chat support frees the customers from going through an IVR process to reach the right line of support. Chat support also lets a customer navigate through a problem in real time. With the introduction of artificial intelligence, live chat support has also improved a great deal. Machine learning enables an automated system to chat with hundreds of thousands of customers at the same time, without any scope of human error. Simply put, the hybrid approach utilizes the chat support and guides a customer using an FAQ model. The chatbot asks an FAQ, gives a few options to the customer to choose from, and brings the next question accordingly. This type of guided assistance helps in resolving issues more quickly and improving customer experience at the same time. 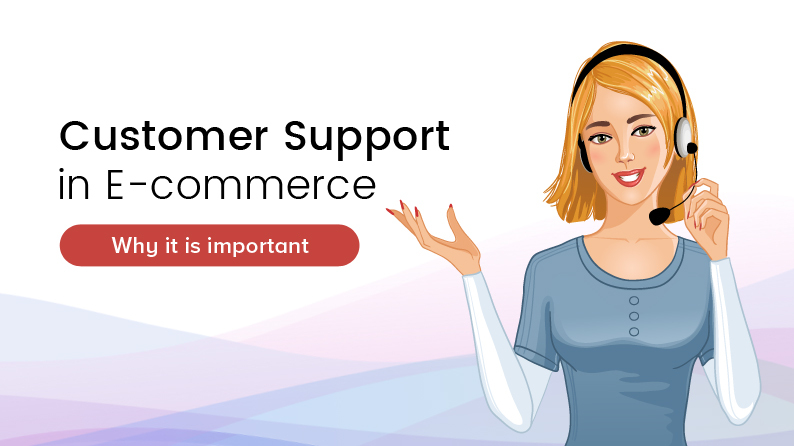 When it comes to customer support, it’s not about “If done right”, because there’s no “If.” Offering support services to ecommerce customers can definitely establish a good B2B and/or B2C relationship. Providing toll-free phone numbers as well as live online chat support along with addressing frequently asked questions on a dedicated page, all these are effective ways to provide comprehensive levels of customer service. And always, always pay attention to the customer feedback. 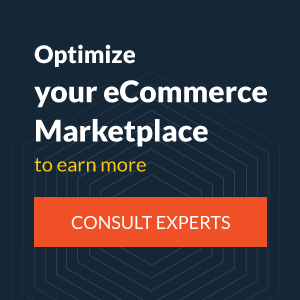 Are you sure your ecommerce marketplace is equipped for impeccable customer service?